Calling all web and design developers! Do you possess high level skills in database design, application development, web design and reporting?  Look no further than this exciting opportunity as a Department Applications Analyst III in the Human Services Agency with San Joaquin County. This examination is being given to fill one vacancy with the Information Systems Unit in the Human Services Agency and to establish an eligible list to fill future vacancies. Resumes will not be accepted in lieu of an application. A completed application must be postmarked or received online by the final filing deadline. Provides professional advanced journey level support in the analysis, design, development, programming, testing, implementation and maintenance of applications across multiple platforms and technologies. Designs data and application structures using appropriate design tools; analyzes current systems to determine methods of integrating new applications into department systems operating environments; designs data structure and application interface; designs on-line screens, maps, reports, forms, menus, and input/output records; develops data flow diagrams and other systems documentation to create application specifications; creates various reports, charts and other materials from multiple layers of data. Develops optimum software configurations to achieve application functional goals; locates, reviews, re-formats and downloads existing system data; tests and de-bugs application; determines whether new application meets the client's business and technology requirements; recommends changes as needed. Evaluates and tests new or enhanced applications; installs or upgrades application software and hardware; troubleshoots hardware, software and database related problems; performs applications testing and documentation duties. Performs complex applications programming duties; ensures data integrity and program structure and reliability are maintained. Prepares specifications and justification for new and enhanced application modifications; coordinates with software vendors to ensure quality and completeness of final product. As assigned, provides highly technical support on applications development projects; analyzes business and functional requirements for new or enhanced applications; meets with users and management staff to ensure complete understanding of department requirements; analyzes current manual or computerized processes; analyzes inter-relationship between new tasks and existing applications; researches internal and external available resources; develops and presents cost-benefit analyses; makes recommendations on applications solutions; performs quality assurance duties; reviews new applications for compliance with applicable quality assurance standards. Installs, maintains, supports and upgrades existing applications; analyzes functional and business requirements for new or enhanced applications design and development; consults and coordinates with users, management staff and vendors to solve complex application problems; determines requirements and tools necessary to complete application systems enhancements. Maintains security and client access to assigned applications; grants and/or revokes user access; ensures compliance with department and mandated data security policies and procedures. Writes documentation on new and enhanced application description and functional capabilities; prepares and updates user materials and procedures manuals. Coordinates and conducts user training education and discussion sessions; recommends proper use and functionality of application; participates in the creation of new courses and classes; evaluates training courses to ensure they are effective. As assigned, may exercise direct or technical and functional supervision over lower level staff; assists in selecting, training, motivating and evaluating assigned staff; provides or coordinates staff training; works with employees to correct deficiencies. Attends and participates in professional group meetings; stays abreast of new trends and innovations in the field of information technology. *On June 13, 2018 the Civil Service Commission approved the following selective recruitment requirements. Education: Graduation from an accredited four-year college or university with major course work in computer science, information systems, mathematics, business administration or a related field. Substitution #1: Possession of an approved information systems technology certificate, or completion of an approved information systems training course may substitute for part or all of the required education. A list of approved certificates and/or courses shall be maintained within the Human Resources Department. Substitution #2: Additional qualifying experience may substitute for the above required education on a year-for-year basis to a maximum of two years. Operations, services and activities of information systems programs; advanced principles and practices of applications development, programming and installation; advanced principles and practices of computer science and information systems; advanced methods and techniques of installing, configuring and troubleshooting applications, hardware, software and databases; principles and practices of quality assurance; principles and practices of system security and client access to assigned applications; methods and techniques of using application design and development tools; operational characteristics of multiple operating system environments; a variety of complex application programming languages; principles and practices of structured programming, analysis and design; operational characteristics of a variety of computer systems, networks and associated hardware, software, and databases; database principles and concepts; methods and techniques of developing and writing technical documentation; principles and practices of customer service; pertinent Federal, State and local codes, laws and regulations. Provide advanced journey level support in the design, development and maintenance of department applications; independently perform complex applications analysis and programming duties; analyze and resolve complex application problems using logical and methodical processes; recommend, install, troubleshoot and upgrade applications; integrate multiple data sets and designs into individual applications; design training materials and conduct training programs; assess and analyze department technology resources and needs; design software to meet client needs; create and develop technical manuals and documentation; create various reports, charts and materials; operate a variety of computer systems and equipment; learn principles and practices of relational database management; communicate clearly and concisely, both orally and in writing; establish and maintain effective working relationships with those contacted in the course of work. Mobility-Frequent use of data entry devices; frequent sitting, standing or walking for long periods; occasional pushing/pulling, bending, squatting and crawling; driving; Lifting-Frequently 5-30 pounds; occasionally 70 pounds or less; Vision-Constant use of good overall vision; frequent reading/close-up work; occasional color, depth and peripheral vision; Dexterity-Frequent repetitive motion; frequent writing; frequent grasping, holding, reaching; Hearing/Talking-Frequent talking/hearing in person and on the telephone; Emotional/Psychological-Frequent decision making and concentration; frequent public contact; occasional working alone, working nights and traveling; Environmental-Frequent exposure to noise.